Yesterday was Palm Sunday. This is the day that Jesus rode a donkey down a parade of coats intended for only Him. People were shouting “Hosanna! Hosanna!” all the while waving palm branches in His honor. What a PARTY this must have been! A few years ago I had the privilege of working as a Children’s Pastor of a church. 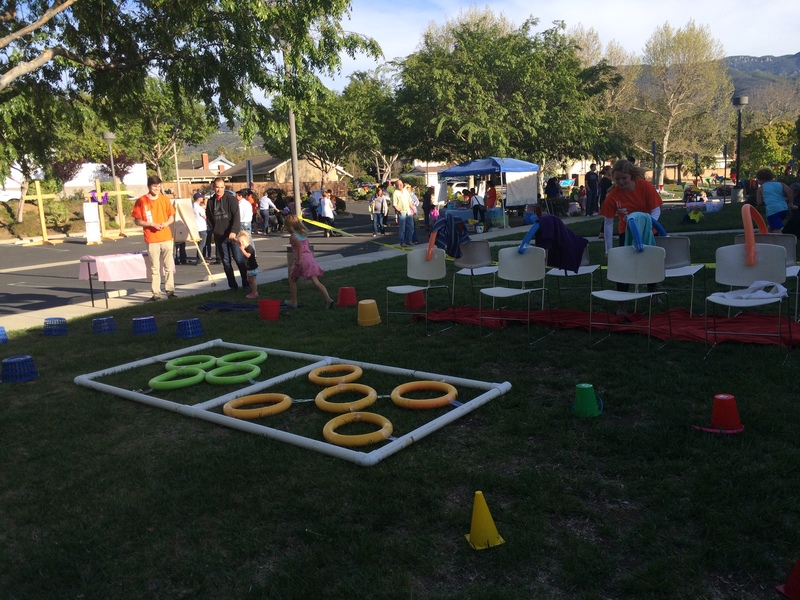 My family and I went back to this church yesterday for an Community Easter Egg hunt with many family and friends. Our girls had a blast!! 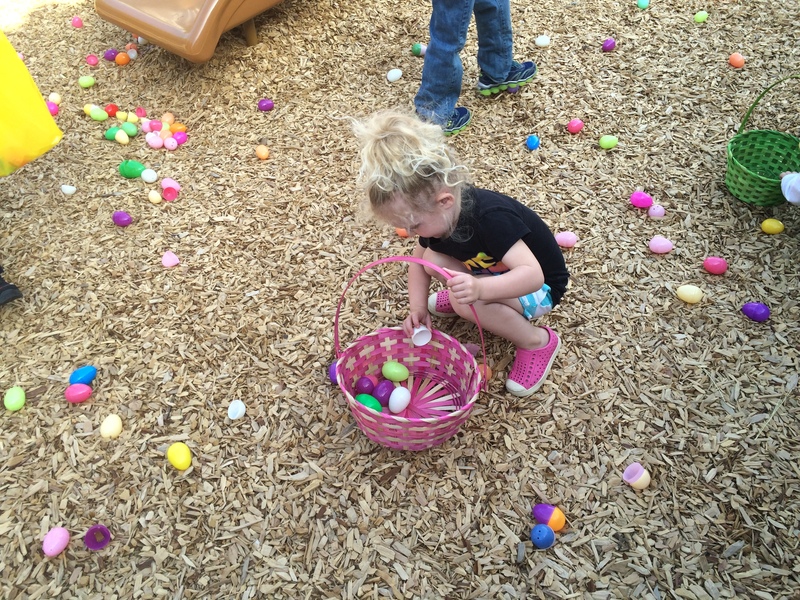 But something was different about this Easter Egg Hunt. 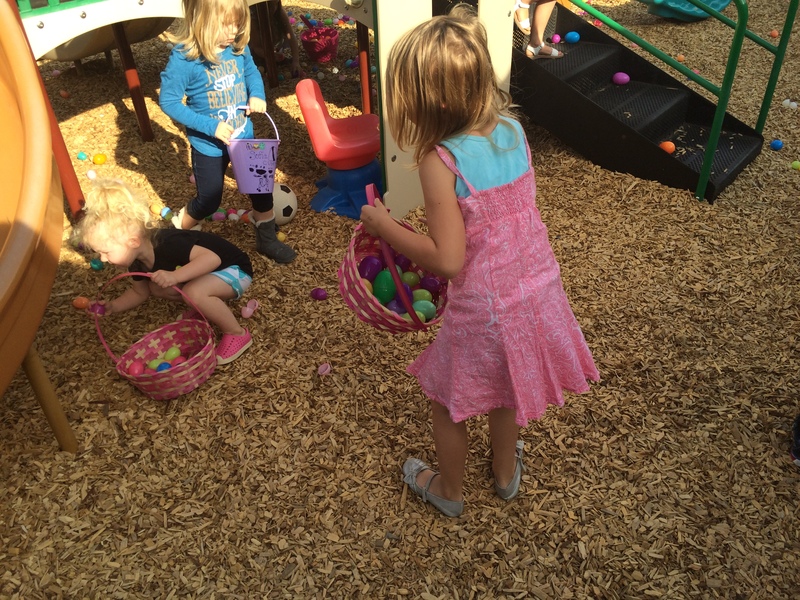 Because it was the week before Easter, the current Children’s Pastor did something beautiful! 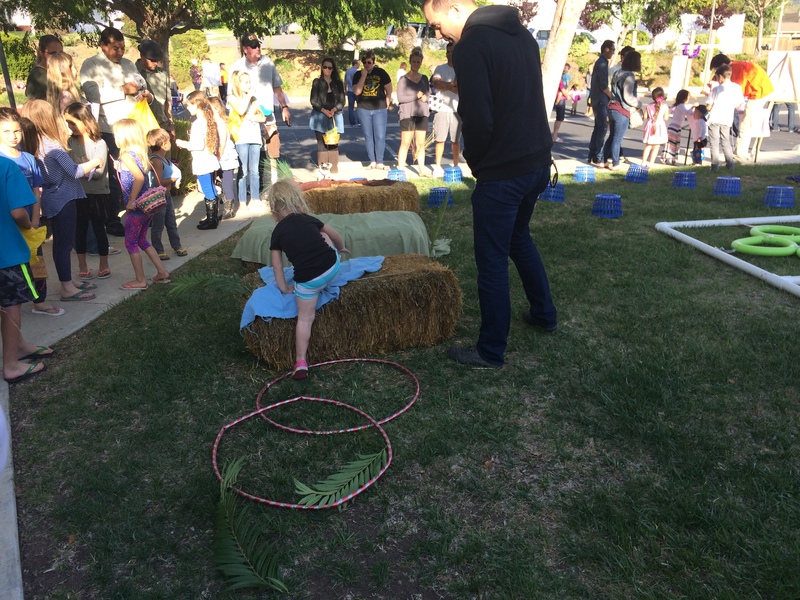 She created the activity areas outside to be one where the children walked through Holy Week “games” and “activities”. It was a beautiful honor for our King. I loved it!! Jesus was so honored. But it reminded me of something I had created. 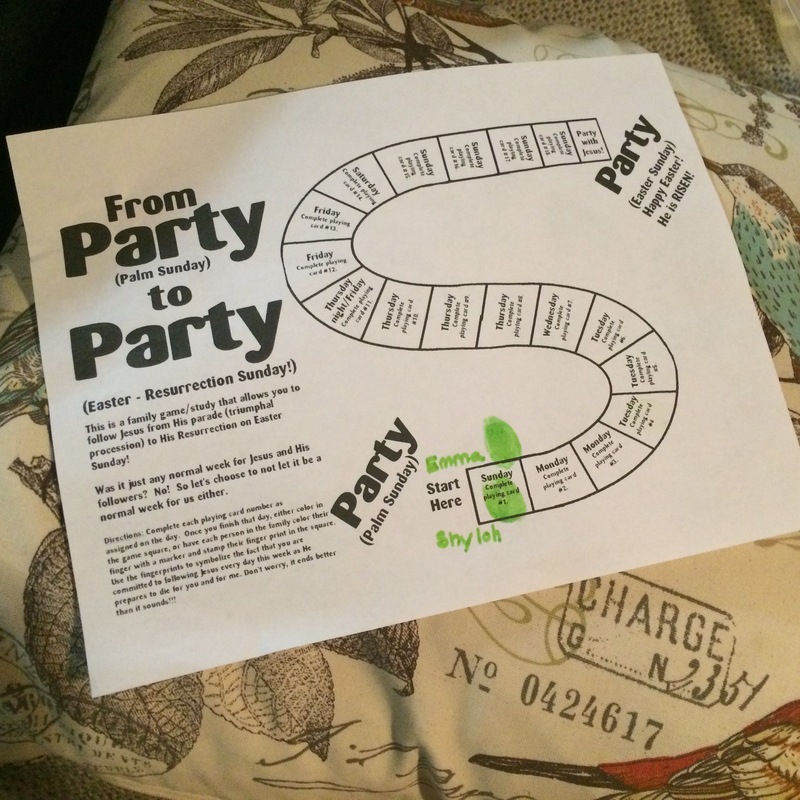 A few years ago (before we had our own growing family), I created a game for the children and their families called “From Party to Party”. This game was a hit! Up until yesterday, I completely forgot about the game! I realized I had it saved on my computer and I would LOVE to share it with you. It lets us follow Jesus all week while He goes from one Party (Palm Sunday) to the next (Easter Sunday). There are Scripture readings, activities… and a whole lot of TRUTH! We started it last night and our girls LOVED it! I colored their thumbs and let them stamp their fingerprint on Day 1 on the Game Board. 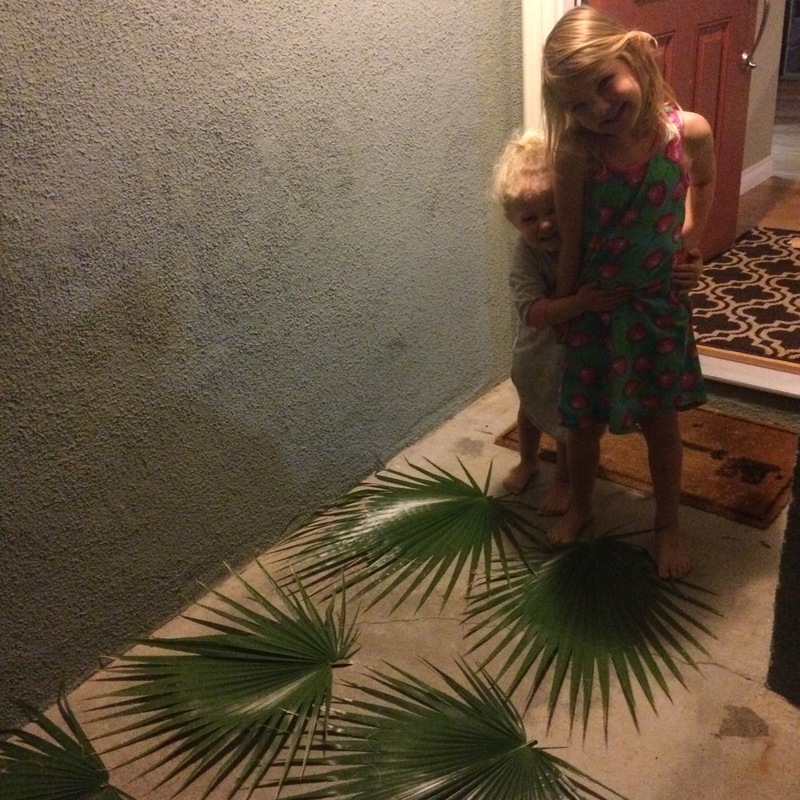 Palm branches currently cover our front porch. Jesus is honored. It doesn’t take long but this week could be a powerful week for you and your family. If you enjoy, please share the document with other parents or friends! Let’s honor our King this week. Much love and happy partying! What does your family like to do for Holy Week? Easter Sunday? I would LOVE to hear! Will share. Excellent way to have Jesus in your home! !